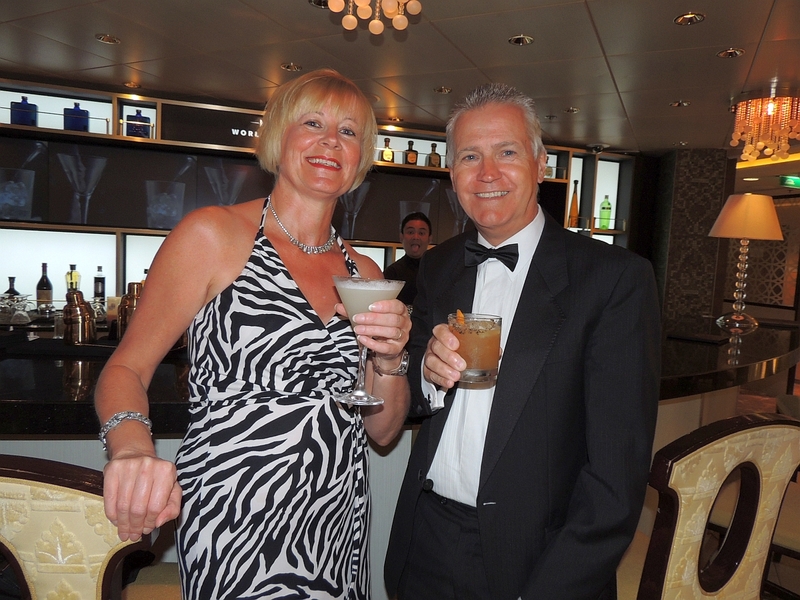 The cruise is most definitely winding down now as we only have 2 sea days left before we reach Singapore. We dont have anything planned for today, were just going to spend our time relaxing while sailing the Java Sea. We get up at 8.00am and go to the Oceanview Café for a breakfast of poached eggs, bacon, mushrooms, tomato and toast. 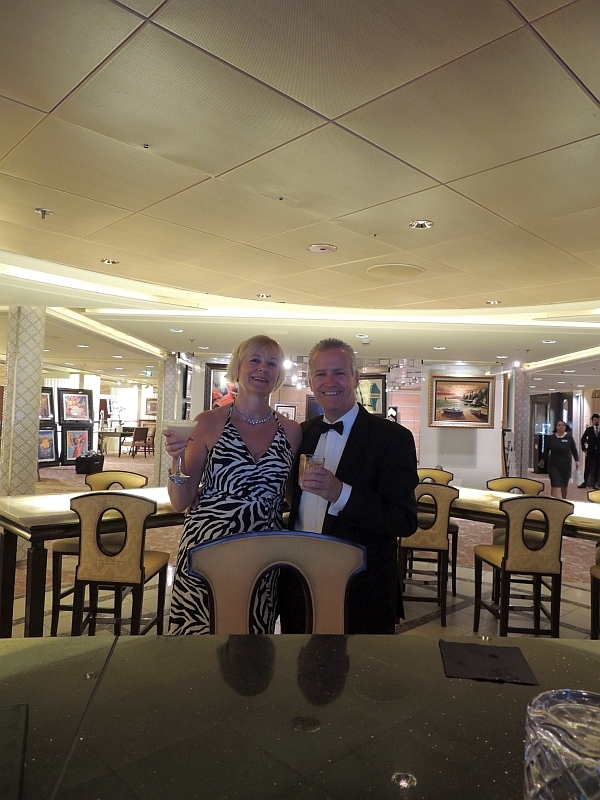 After returning to our stateroom to change into our swimming costumes we go to the Solstice Deck where its very hot and humid  too hot to sit out in the sun. We find a spot in the shade, but have not been there very long before the clouds start to gather and we feel a few spots of rain. As there are 4 people talking rather loudly, we decide we will be better off on our balcony. 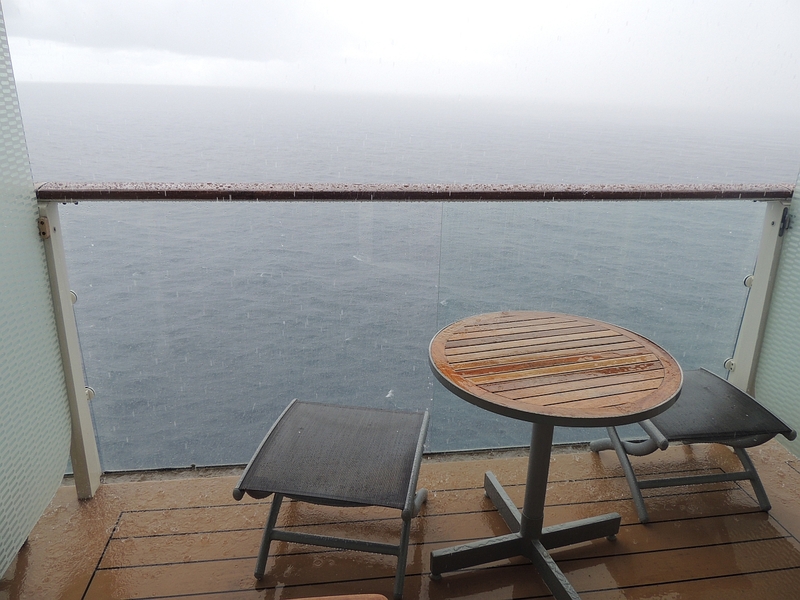 This proves to be a good move as a couple of minutes after we get back to the stateroom we get a full-blown storm. Luckily the back of our balcony just about stays dry, so we can still sit outside as the rain belts down. Im not complaining as this is the first real rain weve seen in 3 weeks and it passes by in an hour or so. Im not sure if the rest of the trip report is going to be all that interesting as we spend the next few hours sat on the balcony reading, snoozing and watching the ocean. Its overcast, but 30°C and humid. At 1.00pm we go to the Oceanview Café for a light lunch of chicken and jacket potato before getting a beer and going to Celebrity Central for John Mankas presentation on ocean currents. His talks have usually been in the 1000 seater theatre, so its no surprise that every seat is taken in this much smaller venue. The subject sounds like it might be quite dull, but not the way John presents it. One of the things he tells us is that a container ship lost 10 containers overboard (in the 1990s I think) and that one of these containers held plastic bath toys. The container split open and the cardboard packing on the toys became sodden and split open releasing 28,000 rubber duckies into the ocean. A German scientist predicted with a high degree of accuracy where these things would start showing up. Some travelled for thousands of miles and they reappear every 3 or 4 years as they drift in the revolving currents. John Mankas talks have been a high point in our cruise and Tam is so inspired she wants to pack in work and go and count rubber duckies or save the sea turtles. Back in the room we have another couple of hours on the balcony. I guess different people like different things from cruising, but being crammed around a pool with hundreds of people listening to loud music (usually not of my liking) or playing guest v staff volleyball is not my idea of fun. Watching the sea or reading my book in peace and quiet (as long as the next door neighbours are out) is just fine by me. Strangely, its never too busy anywhere around the ship outside of the pool area and theatre, its one of the things I like most about Celebrity. We shower and leave for the World Class Bar just after 6.00pm where I have a Hawaiian Lava and Tam has a Tan Russian. I get a Negroni to go and we walk to the Solstice Theatre for the 7.00pm show. 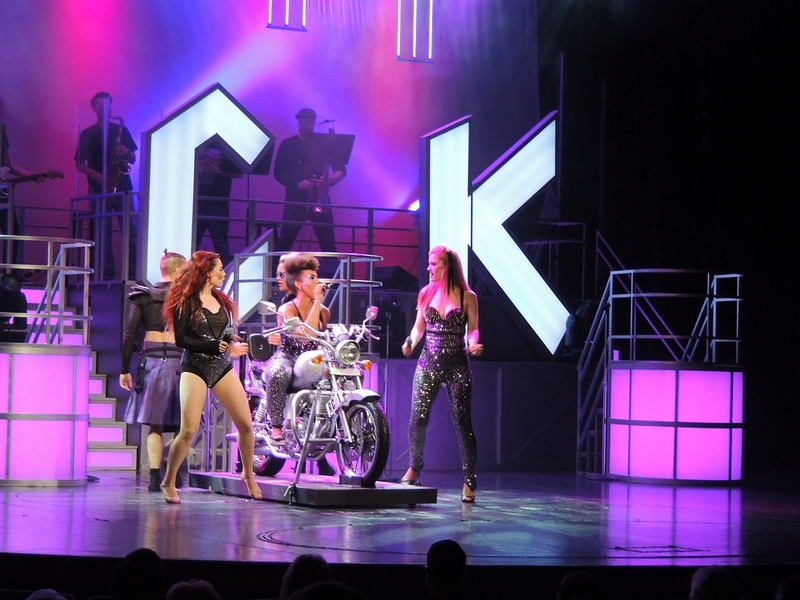 Its Rock City and is just a collection of rock songs performed by the cast members with some acrobatics thrown in for good measure. Its easily the best show weve seen. 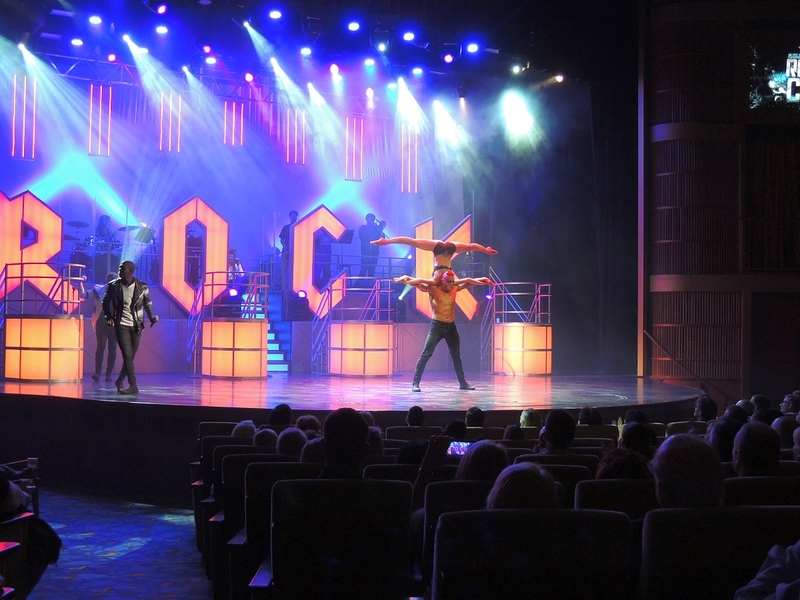 Of course, this is helped by the fact that I like the music much more than the other shows, but the theatre is full and the audience response is the best that Ive seen on this cruise. For the keen naturalist there are both Brown and White Boobys to be studied and Tam is not left out, as there is a sighting of the rare Bare Chested Acrobat as well. Our dinner tonight is in Blu and I have the crab cake followed by the Phyllo Chicken. Tam has potato croquettes and the pepper steak. Nearly all of the food in Blu (and indeed in all the restaurants) has been very good. Ive really only had one bad meal. Prior to going to Blu we had dropped into Cellar Masters and picked up what was left of our La Crema Chardonnay, so we have that with our meal. For dessert Tam has the Baked Alaska and I have the crème brulee. 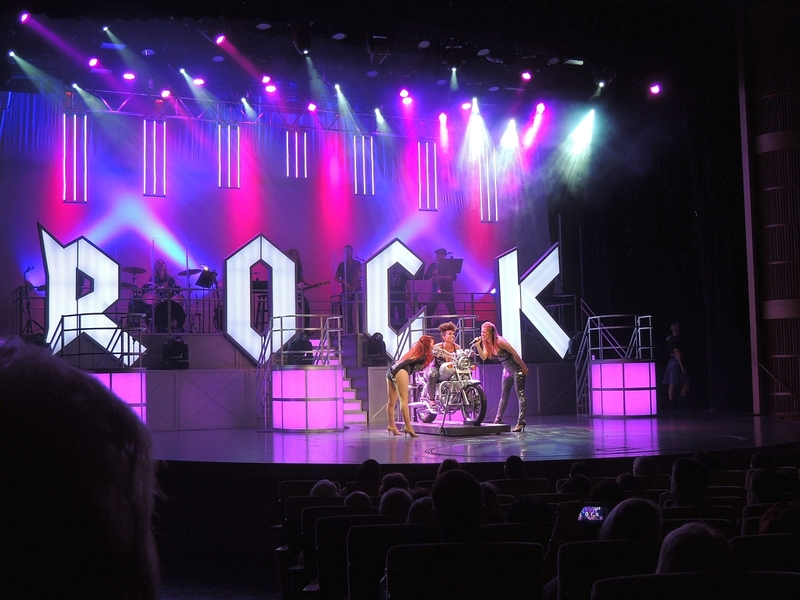 We enjoyed Rock City so much that we decide to watch the second performance as well, arriving a few minutes after it has started having picked up a couple of drinks from the Ensemble Lounge on the way through. After the show we go to the Sky Lounge where a Rock City after party is taking place. The band playing are quite good and Tam and I eventually dance to some Guns N Roses and AC/DC. I have a beer and Tam has a strawberry based cocktail, which is so sweet she cant drink it and swaps to beer instead. 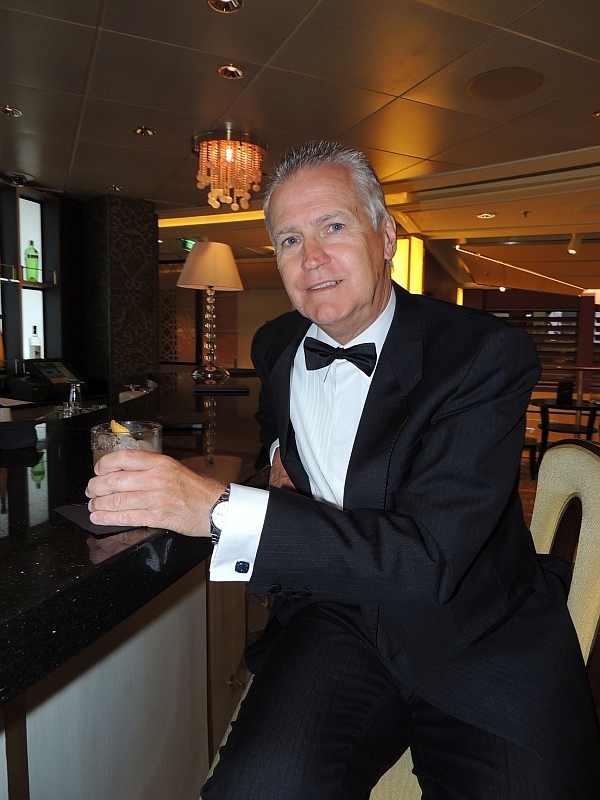 That is the problem with the majority of the cocktails on this cruise, too much simple syrup used. When the band finishes at 11.15pm I expect there to be more music, but it just stops  or rather it plays at such a low level you can barely hear it. This is strange as there are quite a lot of people still in the lounge there could have been more dancing and (from Celebritys point of view) more drinks sold. As it is, people start to drift off, so we go to Café Al Bacio for coffee and cookies.